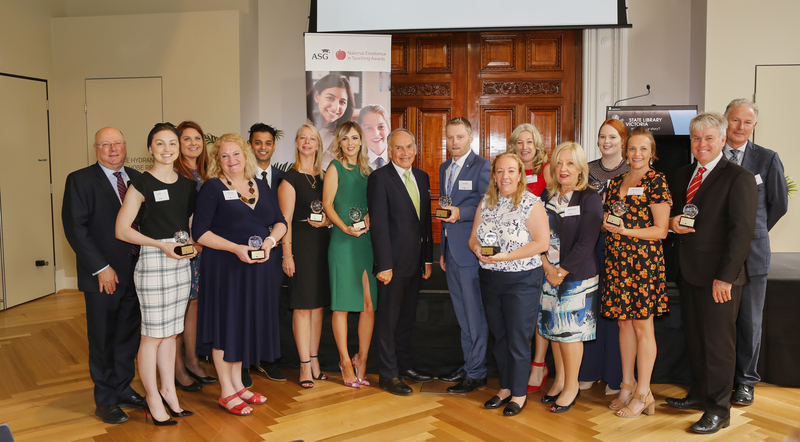 Thursday 21st March 2019 - Twelve educators and teachers received the 2018 National Excellence in Teaching Awards at the charming State Library Victoria on 21 March. The air was filled with applause for the recipients, hearty congratulations, and insightful conversations around education. The 12 NEiTA recipients were selected from a shortlist of 25 teachers and educators based on a 1,200-word essay and detailed responses to five questions around education and teaching in a self-produced video. The recipients were officially recognised with a certificate and a $5,000 professional development grant at the Awards presentation. This year Miss Emma Connelly was awarded two of these prestigious awards her first being the recipient of the Terry O'Connell Regional and Remote Teacher's Award for her work in raising the literacy levels of children from indigenous communities and speakers of English as a second language. 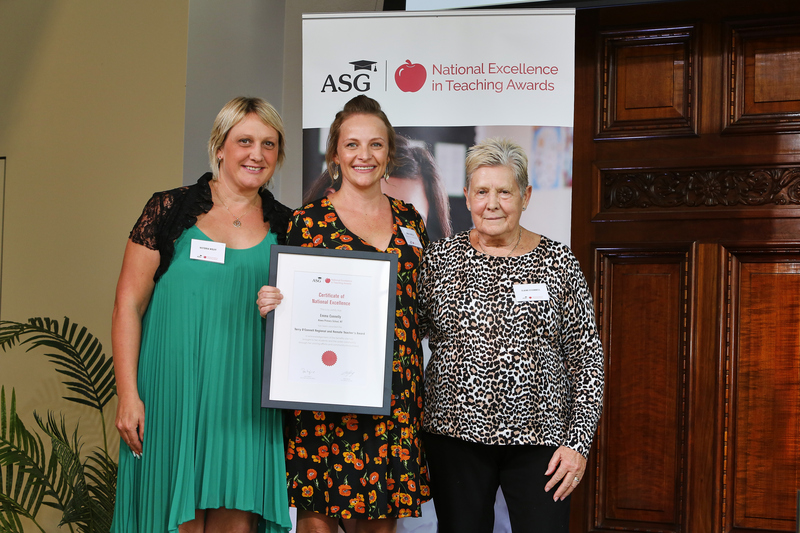 The second was as one of 12 recipients of the Early Childhood National Excellence in Teaching Award. Emma believes that the most important quality of a great teacher is the ability to build meaningful relationships with learners and their families. She says great teachers are reflective, lifelong learners who actively seek feedback and strive to improve their practice. They are flexible and responsive to the needs of each child. Emma has worked in a variety of roles over the past decade including in an early years multi-year level class in a remote Indigenous NT community, and as an Intensive English teacher for asylum seeker students based at a Darwin Detention Centre. She is currently teaching a mainstream transition class in Darwin’s northern suburbs with over 50% Indigenous and ESL learners. Emma’s aim and commitment to students is to foster a sense of wonder and awe about the world and develop a thirst for lifelong learning. She would like to play a part in developing confident students who believe in themselves and that they can achieve anything they apply themselves to. She would like to use the NEiTA professional grant to conduct a study tour to observe schools using the Kathy Walker approach. She would also like to visit schools using the Lisa K Writing Model to enable her to execute the writing model in her classroom and to share the feedback with other English teachers in her school. For Emma, Good Teachers + New Ideas + Risk Taking + Innovation and Passion = Great Teachers. We would like to thank Morgan and Tom Vidins for nominating Miss Connelly for the award in 2018. We are sure you will all join with us in congratulating Miss Connelly on this well deserved recognition.